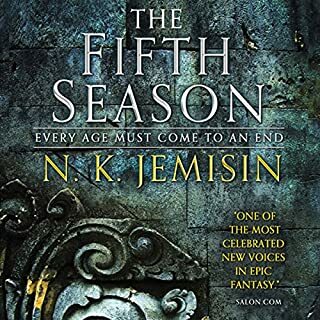 Fantasy isn't usually a go-to genre for me, but Jemisin's style and approach is so different from anything I've read before that I'll be checking out the rest of her work. This was a unique approach to an apocalyptic situation, and I appreciated the conceit that such large, nearly world-ending events (the titular Fifth Seasons) happen with some regularity in this world. 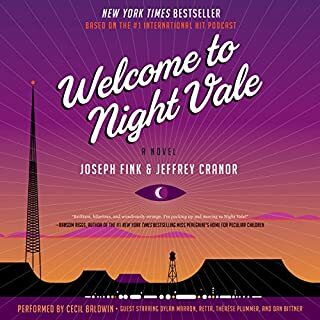 The triple storyline was a wonderful narrative choice and mostly ameliorated my only real nitpick which was that the pacing seems a bit odd if you consider the events of each of the separate storylines as a whole. Syenite's story has the most action (both literally and as far as the number of events which happen during her portions) while Essun and Demaya don't do quite as much. Other than that, the rest of the story was incredibly solid (admittedly, it didn't quite hit the 'blow me totally out of the water' point for me, but I'd give this a good 90/100 for something more nuanced than a 5 point scale). I'll admit a large part of the reason I grabbed this book out of all of Jemisin's was because of Robin Miles' narration. I loved her work on Nnedi Okorafor's 'Binti' and had been meaning to read something by Jemisin anyway. I was not disappointed!